Thin, light and gaming-ready? Not an oxymoron anymore thanks to ASUS, Acer (for now) and, of course, NVIDIA by coming up with the so-called Max-Q design, which allows integrating a desktop-grade GPU inside… practically an ultrabook. 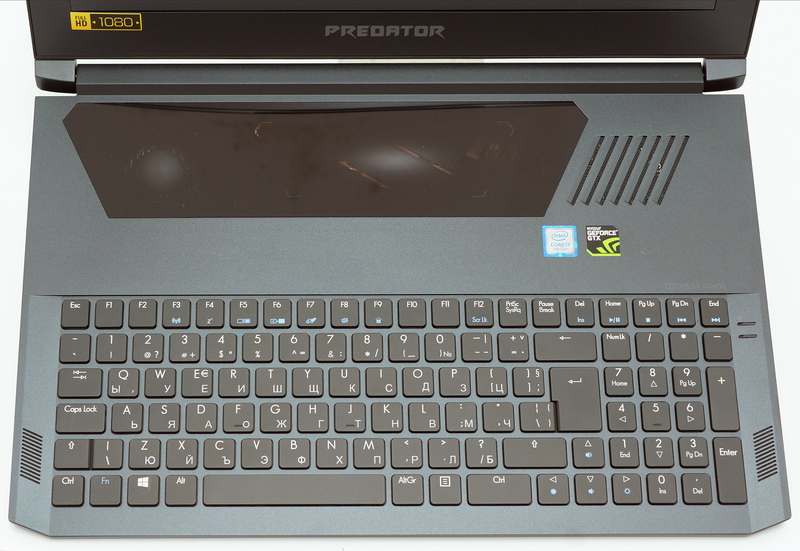 Acer’s solution at this point is the so-called Predator Triton 700 – a powerful and premium gaming 15-inch laptop with plenty of unusual features that include a strangely positioned touchpad, mechanical RGB backlit keyboard, 120Hz G-Sync-enabled IPS display and it’s most notable feature – portability without sacrificing too much of the performance. 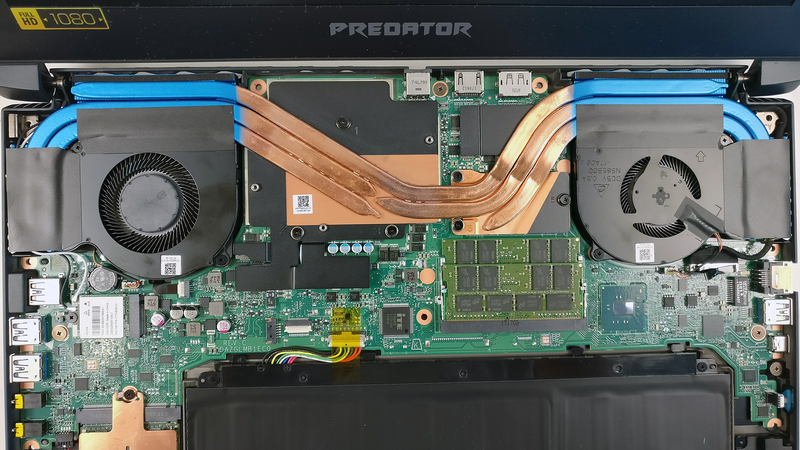 Acer claims that the Triton 700 handles the Core i7-7700HQ and the GTX 1080 Max-Q with ease thanks to the already known features of the cooling design – more than one place for cool air intake and a 3D blade fan design for maximum airflow. 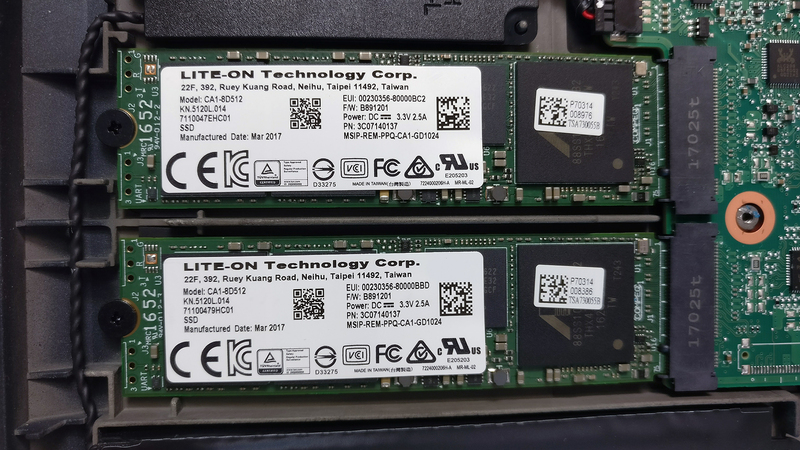 To complete the picture, Acer has included two upgradeable RAM slots each supporting up to 16GB of DDR4-2400 memory and not one but two M.2 PCIe NVMe-enabled SSD slots. This is definitely a nice surprise since ASUS’ ROG Zephyrus offers only one RAM slot for an upgrade and has only one M.2 slot as well. Okay, so what about the actual cooling capabilities of this thin beast and how does it stack against its direct competitor the ASUS ROG Zephyrus? Find out in the full review below. The laptop comes in the usual big Predator box containing the user manuals, AC adapter and power cord. In addition, a small box contains a Predator-branded mouse that feels okay but definitely pretty cheap compared to what you are already using, especially if you can afford a notebook like this one. In the design department, the Triton 700 excels in two key areas – portability and sturdiness. In terms of portability, the notebook is impressively light tipping the scale at 2.38 kg being just a little bit heavier than the ASUS ROG Zephyrus (2.25 kg) and measures just 18.9 mm in height, which again is a tad thicker than Zephyrus’ 17.9 mm. 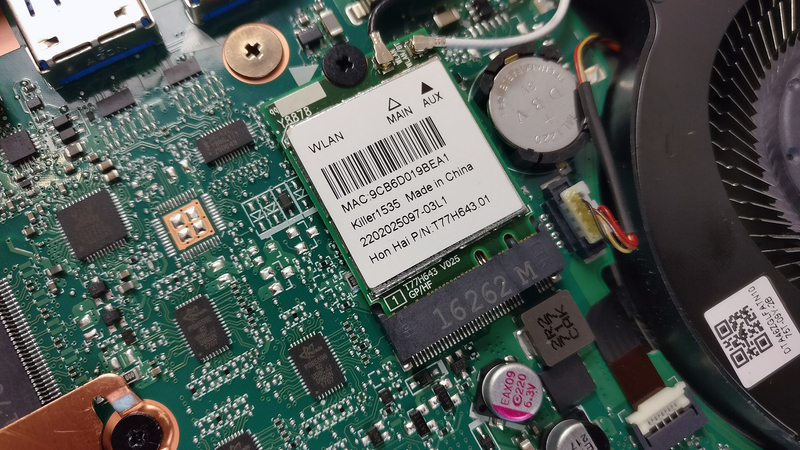 This 1 mm, however, won’t be noticed in practice but you can also feel the slightly tighter construction on Triton 700’s behalf and, of course, the inclusion of a full-sized DisplayPort and RJ-45 for LAN connectivity. 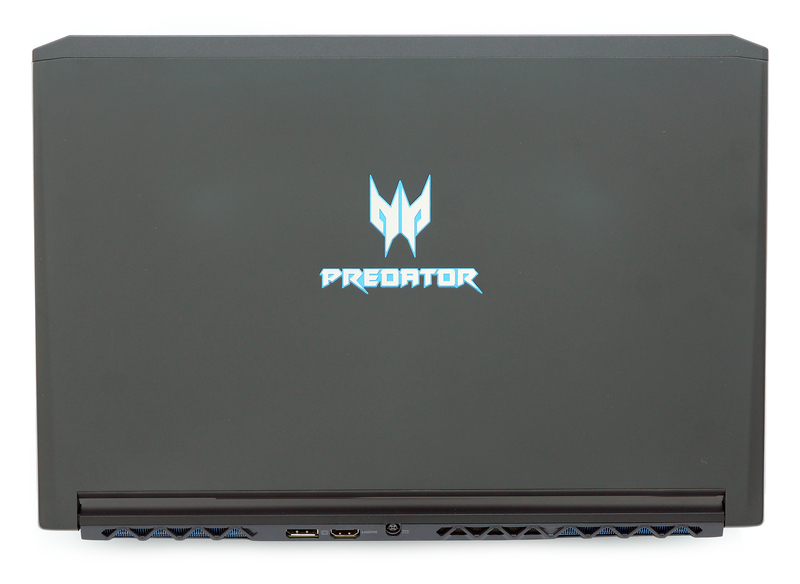 Anyway, the lid made of anodized aluminum sheet (read fingerprint magnet) that appears to be a bit too flexible and features Predator’s logo in the middle. On the other hand, considering the thickness of the lid, we are can look past over this as the Zephyrus isn’t exactly rock-solid as well. The lid also uses two small hinges on each side that provide smooth and linear travel without being too tight as it allows the laptop to be opened with just one hand. The absence of support in the middle, however, has resulted in flexible lower chin. Also, the bezels of the screen appear to be a bit thicker than they should, although this shouldn’t be a deal-breaker for most. 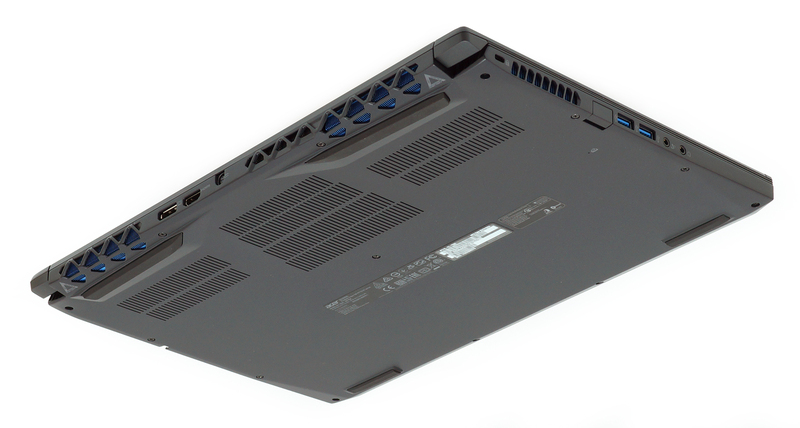 The bottom piece consists of the same anodized aluminum surface with three big grills for cool air intake. Removing it gives access to all of the internals. The sides, although thin enough to impress, offer plenty of I/O to work with – the left side comes along with two USB 3.0 connectors, two 3.5 mm audio jacks for external microphone and a pair of headphones and a neatly recessed USB 2.0 connector probably for your mouse dongle so it doesn’t get caught up in anything while pulling out of your back. There’s also a cap that covers it. On the right, you will see the RJ-45 for LAN connectivity (again, something that the Zephyrus was missing), another USB 3.0 and a USB-C 3.1 with Thunderbolt support. Right next to the latter, you will find the power button. You also can’t miss the exhaust grills on both sides of the machine and the visually appealing ones on the back. 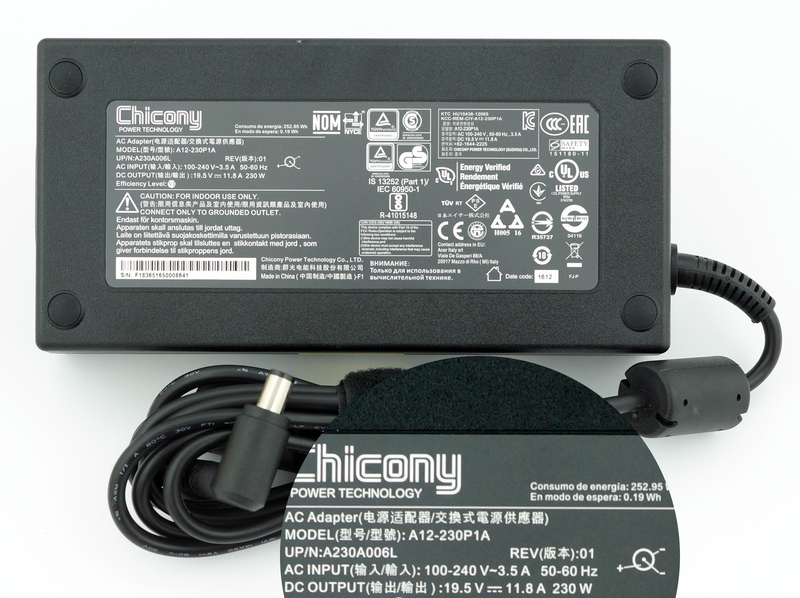 They are not alone, though, as you can find the DC charging port, full-sized HDMI 2.0 and a full-sized DisplayPort. This is actually a nice finishing touch on Acer’s behalf – really great port distribution and positioning. And this brings us to the interior – again sports anodized aluminum surface, which not only feels great but it’s sturdy as hell. Similarly to the ASUS ROG Zephyrus, the Triton 700’s keyboard is moved all the way down to where the wrist rest area should be, leaving a big empty space above it. 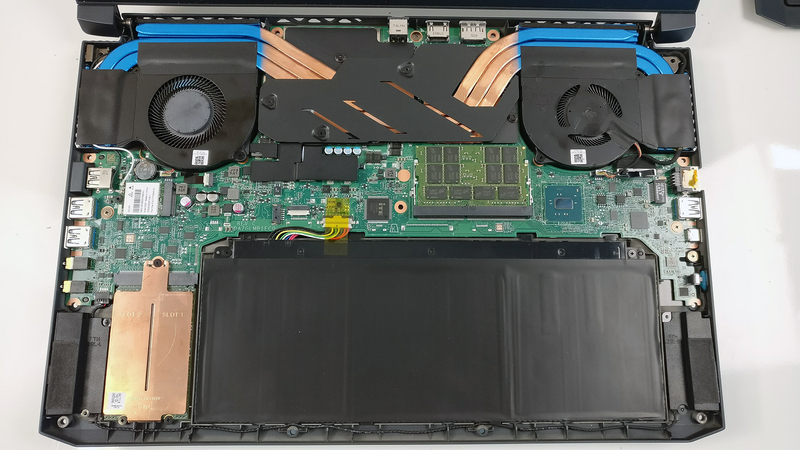 What’s different here is how Acer was able to utilize the empty space – with a big glass panel featuring Corning Gorilla Glass surface that lets you peek inside the LED-illuminated cooling fan and the rest of the cooling design. But the glass panel has another function as well – a touchpad. If you look closely, you will see some markings that indicate the border of the touchpad. We didn’t have any specific problems with the touchpad itself – it’s fairly responsive and the clicky mouse keys do miss sometimes but you get used to it. What we didn’t like is the awkward positioning – you have to reach out across the keyboard to work with it – and the glass surface isn’t very smooth when your fingers are moist. 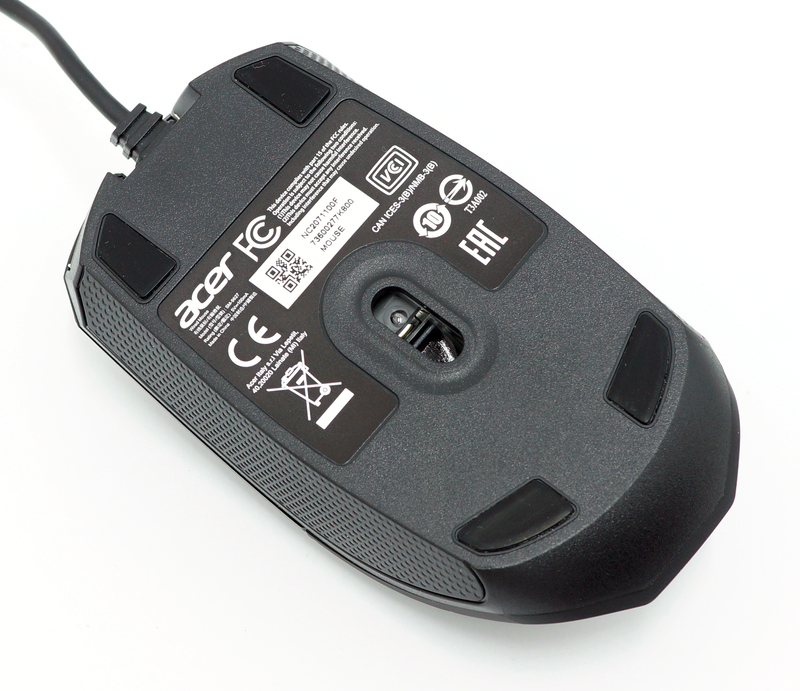 We do have to note, though, that the touchpad is designed for emergency on-the-go situations only and you will probably end up using your mouse 90% of the time anyway. Anyway, next to the glass panel, Acer has placed another big grill for cool air intake. There are also two front loudspeakers positioned on both sides of the keyboard. Speaking of which, it features RGB LED backlit with per key customization and various effects through the well-known PredatorSense app. 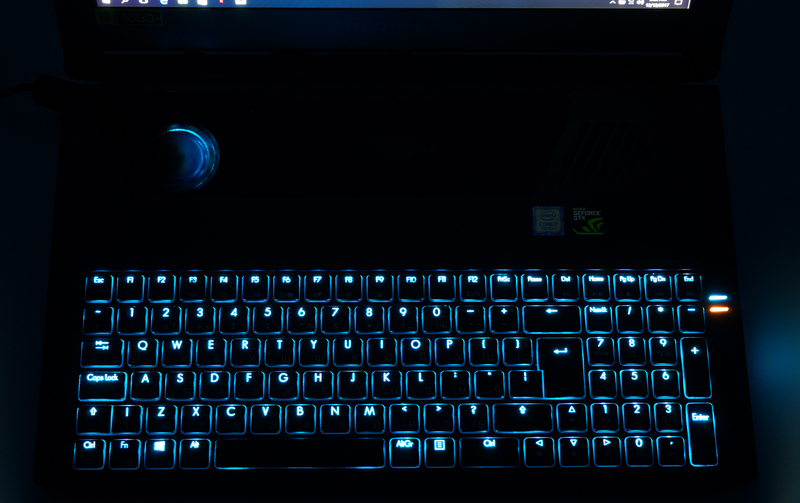 We really liked the RGB integration and the inclusion of a full-sized keyboard layout. The keys are reasonably-sized and provide fairly long (1.6 mm) travel with satisfying tactile and audible clicky feedback since it’s a mechanical keyboard. 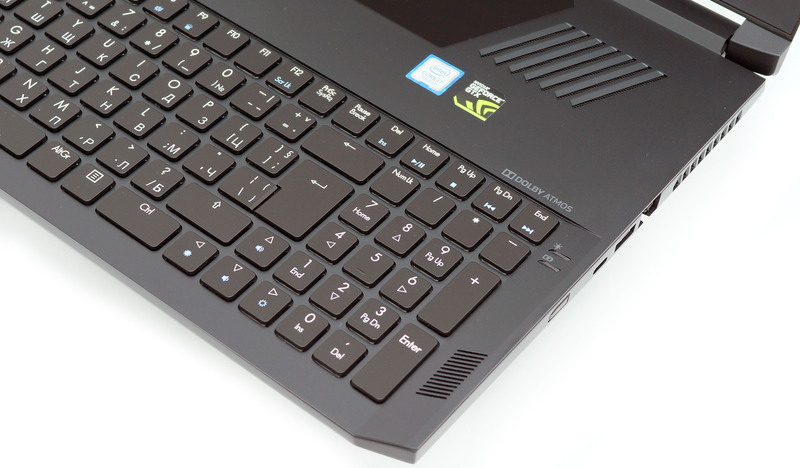 Acer hasn’t specified what kind of key switched the Triton 700 uses but by the looks of it, they are custom-made. The keycaps have a low profile and result in a slightly mushy feel but nothing that you can’t get used to. We found it to be good for typing and excellent for gaming. Still, your external mechanical keyboard will be a better fit for your gaming endeavors. Aside from the awkwardly placed touchpad and slightly flexible lid, the Triton 700 proves that a gaming laptop can be rigid, thin, light, functional and stylish at the same time. A few cool finishing touches like the low-profile mechanical keyboard, the recessed USB 2.0 port, the positioning of the HDMI, DC charging port and the DisplayPort on the back suggest of an extra attention to details from Acer’s design team. They’ve done almost a perfect job here. On the contrary to the ASUS ROG Zephyrus, the Triton 700 offers easy access to the internals and plenty of upgrade options. Removing the screws on the bottom and the plate itself allows you to perform simple maintenance or upgrade. 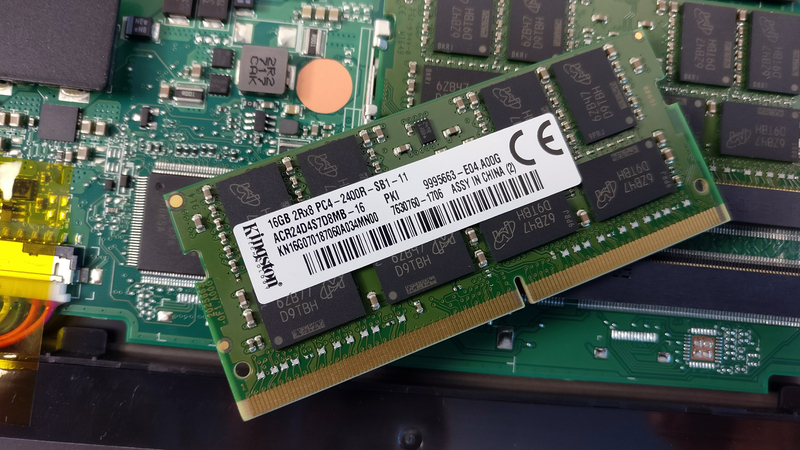 Although there isn’t a standard 2.5-inch HDD for your large library of games, the laptop still has two M.2 SSD slots both supporting the PCIe NVMe standard. 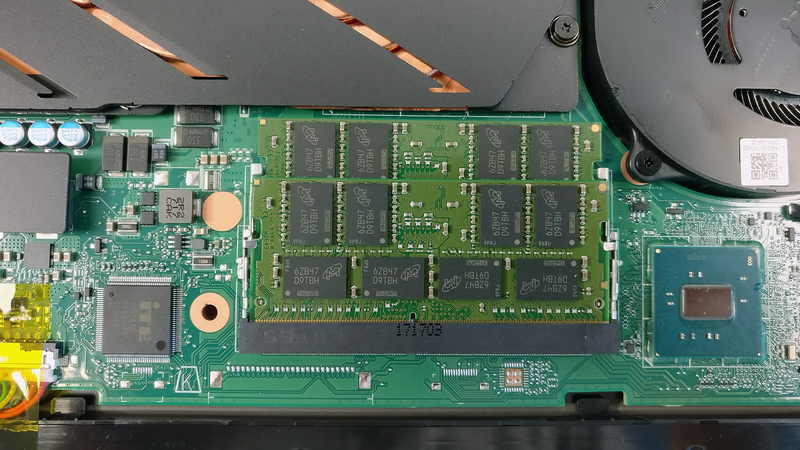 Both memory slots are positioned below the heatpipes each supporting up to 16GB of DDR4-2400 RAM. Our testing unit had both occuppied with the maximum allowed memry – 32GB. The Wi-Fi adapter can be found next to one of the cooling fans and it’s Killer1535. 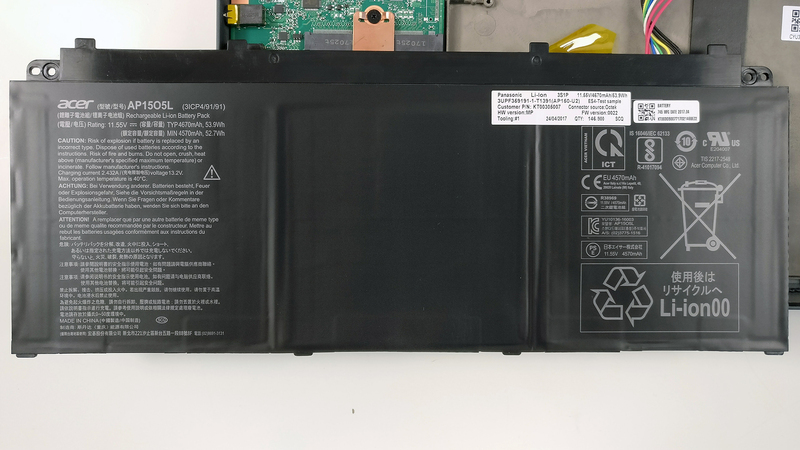 Quite expectedly, due to the limited space, the battery is just 53.9Wh and it’s not nearly enough to support the powerful hardware for a reasonable amount of time. The cooling system features five massive copper heatpipes – two of them are shared by the CPU and GPU heatsinks while the rest are just for the separate heatsinks. 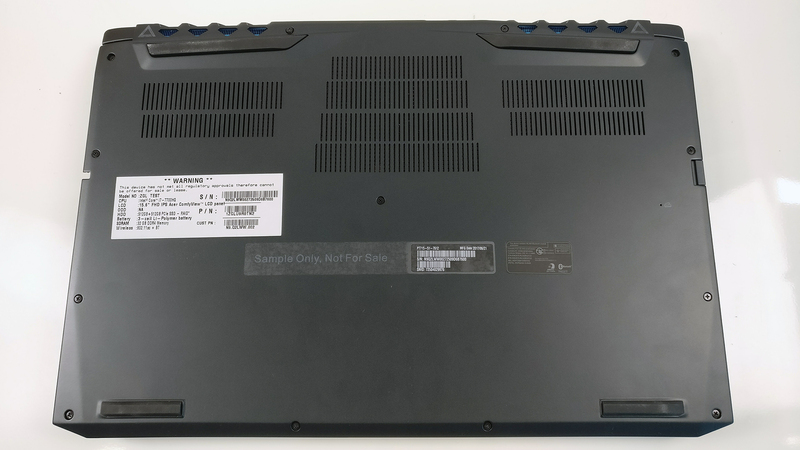 The heatsinks also seem to be pretty solid and as we mentioned above, the cooling fans feature that thin 3D blade design also found in other high-end Predator laptops. Interestingly, the Acer Predator Triton 700 features the very same IPS panel found in the ASUS ROG Zephyrus – AU Optronics B156HAN04.2, so we already know what to expect from the display. It has Full HD (1920×1080) resolution with 142 ppi and 0.18 x 0.18 mm pixel pitch. It can be considered as “Retina” when viewed from at least 60 cm. The peak brightness we’ve recorded is 332 cd/m2 in the center of the panel and 313 cd/m2 as average across the srurface with 14% maximum deviation. The correlated color temperature is a bit cold – 7260K and stays pretty much the same as we go along the grayscale – 7160K. 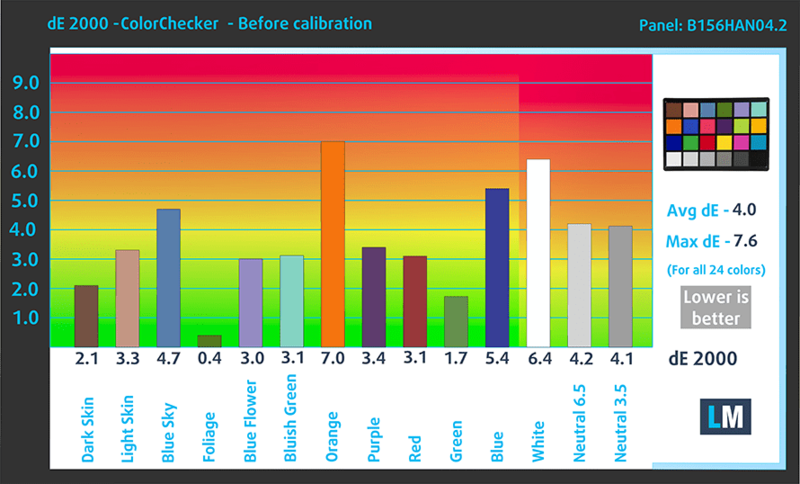 You can see how these values change at 52% brightness (140 cd/m2) in the image below. The maximum color deviation dE2000 compared to the center of the screen should be no more than 4.0 if you are planning to do color-sensitive work. 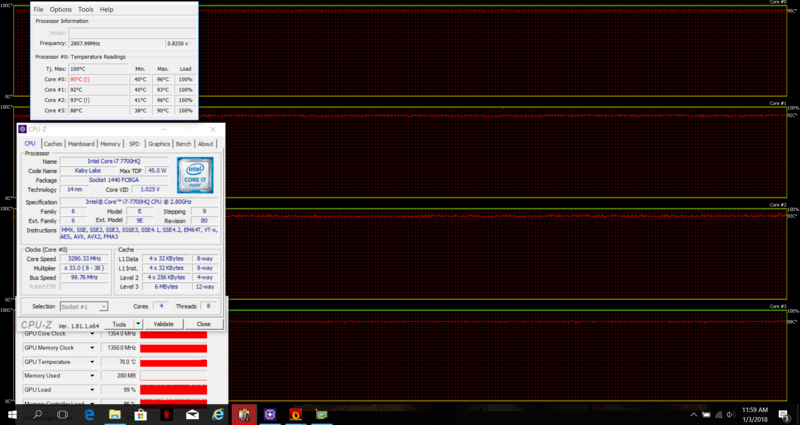 And in this case, since the laptop is going to be used mostly for multimedia and gaming, a deviation of 3.78 in the upper right corner is negligible. The contrast ratio is 1340:1 before calibration and 1240:1 after calibration. The sRGB color gamut coverage, in this case, is 91% making it ideal for multimedia and gaming. We recorded Fall Time + Rise Time = 27 ms.
No PWM was detected at any brightness level so it should be safe to use for long periods of time. We know what some of you may think but the fact that both laptops (the Triton 700 and ROG Zephyrus) share the same display is actually a good thing because the presented AUO IPS panel here is great for multimedia and gaming. It has wide sRGB coverage, excellent contrast, no PWM, relatively high maximum brightness and more importantly – 120 Hz refresh rate and G-Sync along with it. 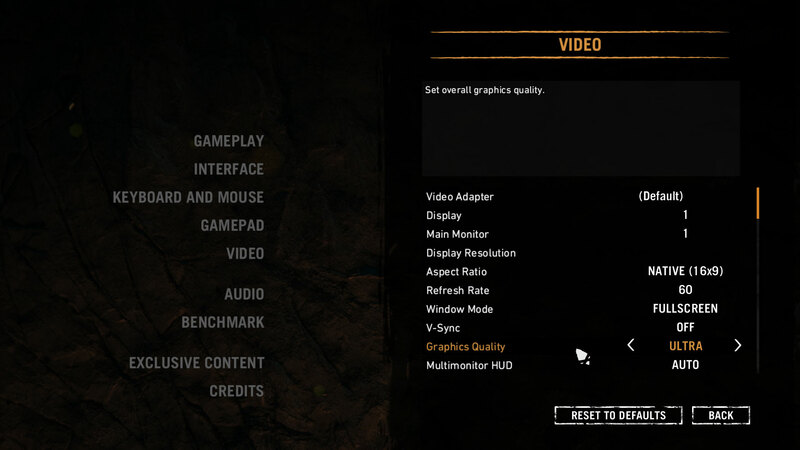 The last two features make up for a buttery-smooth gaming experience. The sound quality is really good with enough clarity in the low, mid and high frequencies. We used the pre-installed Windows 10 Pro for the writing of this review but if you wish to perform a clean install of the OS, we suggest downloading all of the latest drivers from Acer’s official support page. As expected, battery life is just shockingly bad. 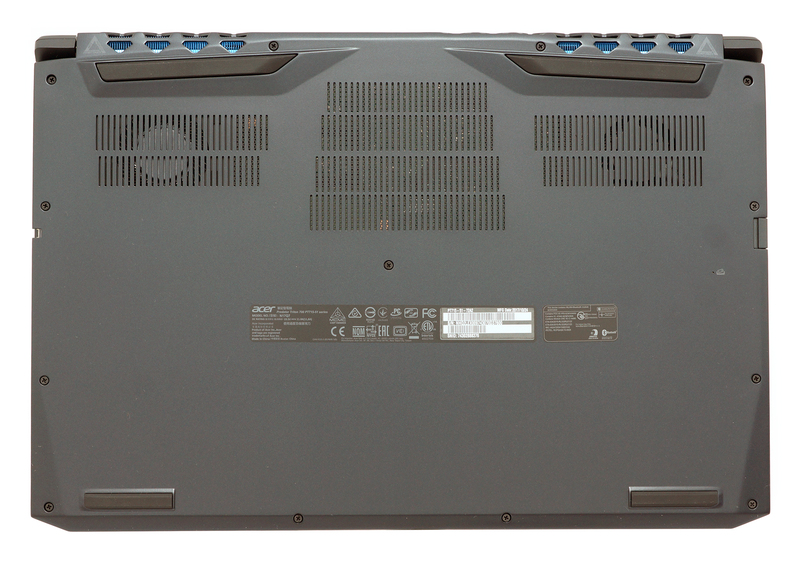 It even goes below what you’d normally expect from a high-performance gaming laptop. And as usual, the culprit of the poor battery life is the absence of NVIDIA Optimus feature and apparently, the 53.9Wh battery just isn’t enough to keep the GTX 1080 Max-Q GPU running for any longer than this. Of course, all tests were run with the usual settings – Wi-Fi turned on, screen brightness set to 120 cd/m2 and Windows battery saving feature switched on. Pretty low web browsing score – 84 minutes (1 hour and 24 minutes). Surprisingly, the video playback score is higher but still pretty low – 143 minutes (2 hours and 23 minutes). This test got the most of the battery since it’s the most demanding one and surely, you won’t start a gaming session away from the power source but you can still squeeze barely half an hour (27 minutes to be exact) if needed. Fritz is a chess benchmark that tests the computing capabilities of the CPU with various chess moves. The Intel Core i7-7700HQ scored 13.711 million moves per second. In comparison, one of the most powerful chess computers, Deep(er) Blue, was able to squeeze out 200 million moves per second. In 1997 Deep(er) Blue even beat the famous Garry Kasparov with 3.5 to 2.5. The GeForce GTX 1080 Max-Q is a mobile graphics card based on the same Pascal architecture as the regular GTX 1080 using the 16nm FinFET process but with a few notable differences mainly in the clock speeds and drivers. The Max-Q design is aimed at thin and light gaming laptops sacrificing around 10 or 15% of the overall performance of the notebook-based GTX 1080 while keeping energy consumption, thermals and noise levels as low as possible. This is mainly due to the lowered base and Boost clock speeds. The base frequency of the GTX 1080 Max-Q is set to 1101 – 1290 MHz while the Boost clocks are set between 1278 and 1458 MHz. The regular GTX 1080 runs at 1566 – 1733 MHz. As far as drivers are concerned, they are designed to prioritize efficiency and minimal noise levels. The voltage converters kick in to ensure the GPU works at 1V and keep the fan noise up to 40 dB while constantly adjusting clock speeds. Rather than that, the GTX 1080 Max-Q sports the same memory configuration of 8GB of GDDR5X VRAM clocked at 10000 MHz using 256-bit bus and supports the same technologies – Multi-Projection, VR Ready, G-Sync, Vulkan, Multi Monitor. The whole GPU is rated at 90 to 110W including the memory controller, which is a notable decrease from the 165W TDP of the regular GTX 1080. Here you can see an approximate comparison between the GPUs that can be found in the Acer Predator Triton 700 models on the market. This way you can decide for yourself which Acer Predator Triton 700 model is the best bang for your buck. Interestingly enough, the notebook allows some small overclocking capabilities of the GPU only. Using the PredatorSense app, you can ramp up not only the cooling fan’s RPM, but the GPU’s frequency. There are three modes – Normal, Faster and Turbo with the last two clocking the GPU at 1543 MHz (memory @1301 MHz) and 1618 MHz (memory @1351 MHz), respectively. We’ve provided screenshots from the GPU-Z app below so you can compare them to the stock speeds. 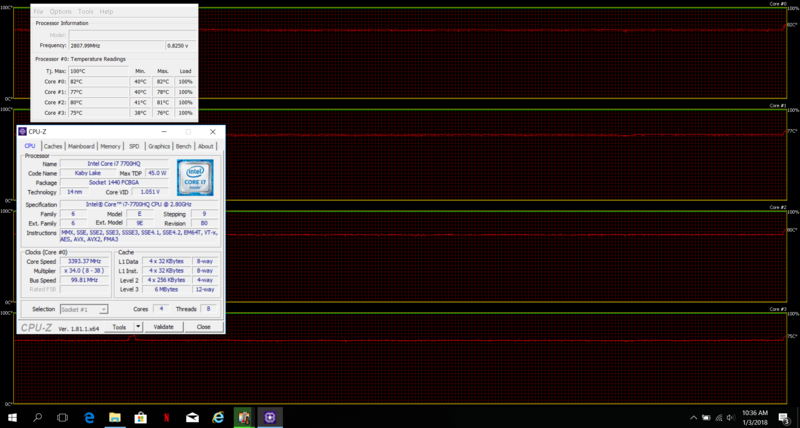 And it appears that the overclocking gives just a few more frames compared to the stock 1080 Max-Q clocks on the ASUS ROG Zephyrus, although the synthetic benchmark tests suggest otherwise. Of course, the two-stage stress test that we run on the notebooks we review doesn’t represent real-life usage because normally the general user won’t be able to put full load on the CPU and GPU at the same time even during gaming. Still, this is the best way to assess the overall stability of the cooling system in the long run. First, we turned on the CPU stress test for about an hour. The system was able to utilize the full performance of the Core i7-7700HQ – stable 3.4 GHz clocks while temperatures were at reasonable state for the duration. 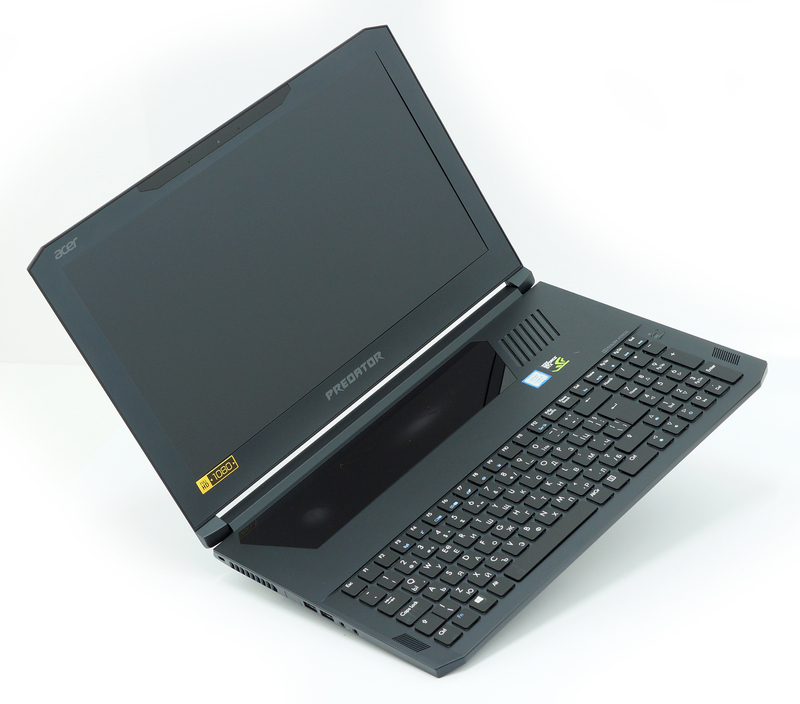 The ASUS Zephyrus performed similarly. Turning on the GPU stress test raised the CPU temperatures (around 95 degrees) and lowered the frequency down to 3.2-3.3 GHz. The GPU, on the other hand, reached a maximum of 77 degrees Celsius and was running at stable 1350-1360 MHz – again we got similar cooling performance from the Zephyrus. These results are generally fine and can even be called “good” considering the nature of the machine and its portability. Temperatures on the surface were pretty high going above 50 degrees but due to the design of the machine, the higher temperatures won’t affect the user experience as much. The keyboard area remains pretty cool. We do have one small concern, though. Due to the positioning of the touchpad and the whole glass surface, during load and gaming the heat renders the touchpad unusable – it’s pretty hot. 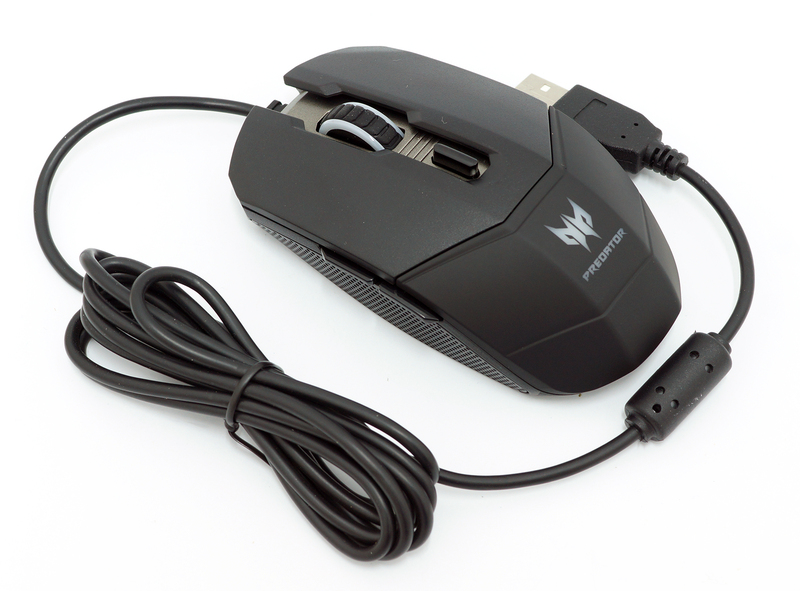 However, we doubt someone will start a gaming session without an external mouse anyway. We also think that if the left side featured another grill for cool air intake like on the right, the surface would become much cooler and will definitely aid the overall cooling capabilities. 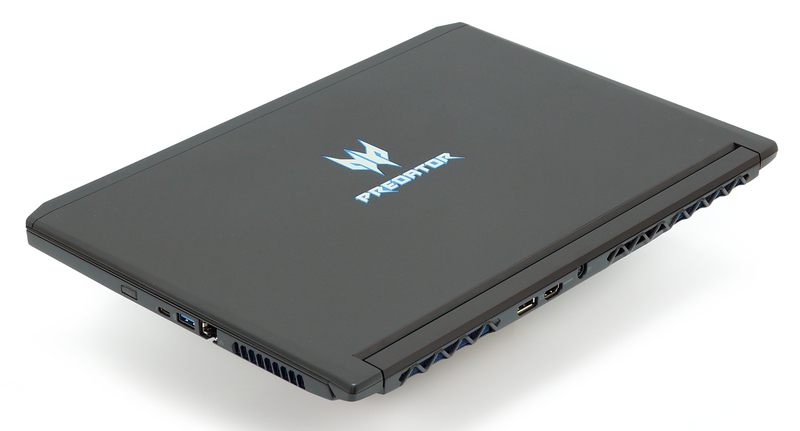 So is the Acer Predator Triton 700 worth your hard-earned money? Well, if you are in a desperate need of a ridiculously powerful and portable gaming laptop, you’ve got only two mainstream choices – this fellow or the ASUS ROG Zephyrus. But which one is better? There’s never a definitive answer to this question because there are plenty of subjective factors like design, ergonomics, etc. However, based on the stats that can be measured, the clear winner in our books is the Predator Triton 700 due to more practical reasons. First of all, despite the added weight and thickness – although barely noticeable compared to the Zephyrus – the Triton 700 has more I/O and better placement/distribution. But more importantly, the Predator 700 sports pretty good low-profile mechanical keyboard and offers better access to the internals. You’ve got two M.2 PCIe NVMe SSD slots and two RAM chip slots while the Zephyrus lacks one of each. Also, you need to decide for yourself which touchpad placement suits you better – the glass touchpad above the keyboard on the Triton 700 or the small trackpad crammed up next to the keyboard on the Zephyrus. Anything other than that, feels pretty much the same. The overclocking feature on the Triton 700 might come in handy in some situations but it doesn’t give any noticeable advantage over other GTX 1080 Max-Q-powered machines in real-world performance while the cooling systems perform similarly and we doubt you will have any issues with the cooling performance of both models. Moreover, they sport the same crisp 120 Hz G-Sync-enabled IPS panel with great multimedia properties and no PWM. In any case, prepare to pay a little bit more for the extra features. 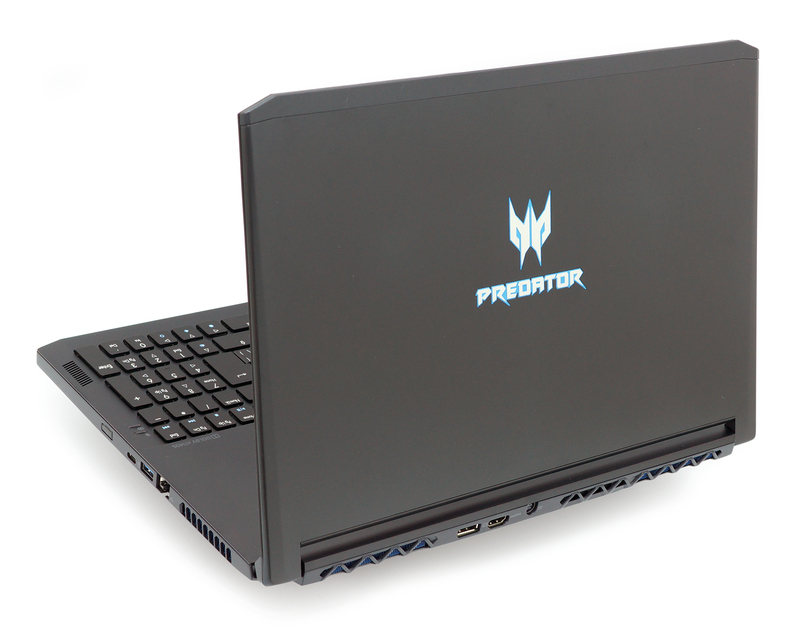 The Predator 700 sells for around $3 000 at the time of writing this review while the ASUS ROG Zephyrus’ asking price is around $2 500 – 2 700. This positions both machines in a category of their own as laptops with GTX 1070 are considerably less expensive while GTX 1080 are huge 17-inchers charging a price premium. And if you are not really that into “portability”, you might be better off with a GTX 1070-powered laptop with a good cooling solution. Just a little overclocking will easily match the GTX 1080 Max-Q’s performance.